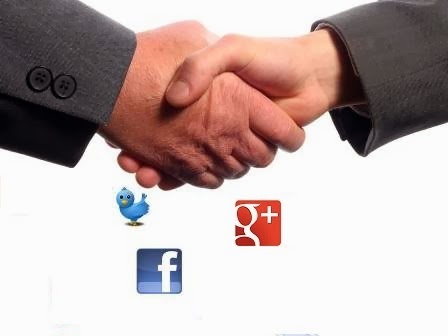 Social Media Role for Promoting business . What initially began as a meeting ground for old friends and family, has today taken shape of one of the most complex business organisms in the world. The social bug that has been bugging people for ages is now digital.Social media has mushroomed from being a simple tool for connection to much more complicated and well built platform for commercial communication. Whether it is marketing or branding, with social media you can do just about everything. Why is social media so helpful? Statistics indicate that approximately 94% of companies with a department for marketing have actively used social media for their promotion. This is primarily because of the wide ranging visibility and low costs involved. Amongst marketing pioneers, one can say that about 60% are using social media marketing not just as a side promotion but as a mainstream work profile. People are specially being employed who have social media skills and can undertake social media activities with ease. Social media is also the hungriest online facility these days. It takes up at least 10 hours a week of the majority of the population ranging between 20 to 29 years. People hang out on social media not only for fun, but with specific agendas, like shopping or even looking for a job. Over half the companies that have used social media as a fixed marketing strategy for more than 2 years have reported a steady increase in their overall sales. This is because more and more people are able to view you as an entrepreneur and get reviews about you simultaneously. It helps any customer to be able to go ahead with their purchase or even create an impression about the company in concern by analysing their pro activeness and concurrent reviews gotten by their fellows. Which platforms are the reigning ones? Although the search engine is the most trusted one, they have been able to make their mark on the social front as well. Google Plus offers a ‘promote’ feature that enables you to customise your promotional page as per your requirements. The undisputed champion in the field of networking is Facebook. It has gained its popularity because it is so simple. It lets you portray yourself in the best possible way and allows others to show if they like you or not. You can put pictures, videos; create fan pages and much more with Facebook. Another international social networking platform is twitter. It allows people to view short messages (140 characters). This enables entrepreneurs to use it as a tool to share latest news and other interesting topics. You can set trends with hash tags and carry out many interesting promotional activities. Jill Elliott is a veteran blogger with a keen interest in information technology. She is currently associated with eSiteworld as an SEO expert handling business promotion through social marketing.